Quick overview Reviewing the work of Bonnard, one of the best-loved artists of the modern period, this book draws insights into his personality from his paintings. It is published on the occasion of a retrospective exhibition at the Tate Gallery, London, in February 1998. 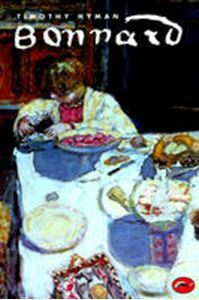 Reviewing the work of Bonnard, one of the best-loved artists of the modern period, this book draws insights into his personality from his paintings. It is published on the occasion of a retrospective exhibition at the Tate Gallery, London, in February 1998. Bonnard's association with the Nabis, especially Vuillard, inspired him to develop Impressionist notions, by treating light and colour in an entirely fresh way. Influenced by Japanese prints, Bonnard's style evolved into decorative intimate evocations of interiors; in his mature work, the rich and sometimes near-abstract compositions of the 1930s and 1940s recall Matisse's monumental treatments. His best-known figure paintings, the many intimate portraits of his wife Marthe, express profoundly human concerns, characteristic of all Bonnard's painting.